This small town in the south of British Columbia's Cariboo Country offers a wide variety of activities, sights and scenery, year round. 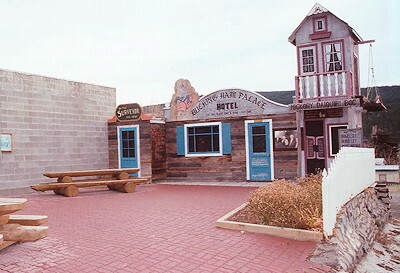 With its colorful history of well over 100 years and its unique western atmosphere, Clinton was founded as a direct result of the "boom" of the Cariboo Gold Rush. After the discovery of gold in the Cariboo, Royal Engineers were commissioned to build a road through the Fraser Canyon to the Cariboo to join the already existing wagon road from Lillooet to 47 Mile. The junction was 47 miles from Lillooet and thus 47 Mile was the name used until 1863, when 47 Mile officially became Clinton. The community also boasts of hosting one of British Columbia's oldest continuously running events, the "Clinton Annual Ball," held in May of each year. 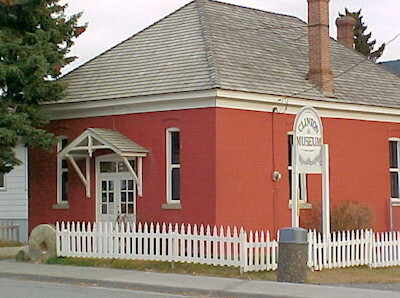 There are a number of popular historical sites to visit, and the historical walking tour through the main street of Clinton�provides a pictorial�tour�through history. Local craft shops are frequented by those passing through as well as local people. A small friendly community close to larger centres, Clinton offers a life of quiet living in one of the most pristine natural environments in the world, with an ever changing spectrum from rolling hills, ranch lands, and spectacular chasms. Summer or winter Clinton has a great many activities to offer the visitor - from hiking and fishing in the summer to cross-country skiing and snowmobiling in winter. Kelly Lake, Pear Lake, Leighwood Lake, Riley Dam, Big Bar Lake, Beaverdam Lake and Loon Lake all provide excellent fishing. Some of these lakes also provide resorts, picnicking, swimming and beaches. There are many different types of wildlife found around Clinton and area, including deer, moose, cougar, bear and upland game. Accommodations: There are two motels, one hotel, and a bed and breakfast in Clinton; plus a number of campsites, resorts and guest ranches nearby. Access: As a midway point between Vancouver and Prince George, Clinton serves as a centre providing amenities to both its own residents and the travelling public. 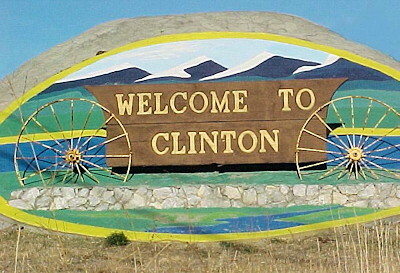 Clinton is located on Highway 97, 36 km (22 mi.) north of Cache Creek and 80 km (50 mi.) south of 100 Mile House. A well maintained route, Highway 97 is the major north south link of Southern BC with Northern BC, the Yukon and Alaska. Recreation Facilities & Activities: Hiking and cross-country ski trails, fishing and recreational lakes; rodeo grounds; baseball diamond; community park for picnicking; recreation centre; Memorial Hall; curling rink. There are several guest ranches in the area where city slickers can enjoy the "cowboy experience�. 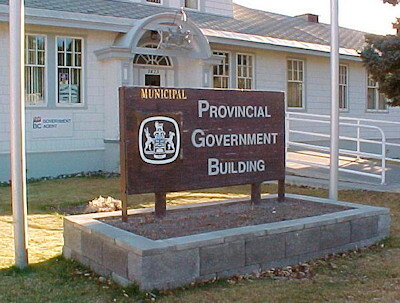 Local Attractions: Downing Provincial Park; Soda Lake; 1861 Pioneer Cemetery; Big Bar Provincial Park; Clinton Museum, the Painted Chasm; Annual Ball; May Ball Rodeo and Dance; Clinton Outdoor Sportsmen Auction and Dinner in April; Canada Day Celebrations on July 1st; Clinton Country Jamboree and Family Fun Fest Day in August; Art Show in the Fall. Main Industries: Forestry, ranching, service centre, tourism and mining. Climate: Moderately dry summer with a moderate to cold winter.